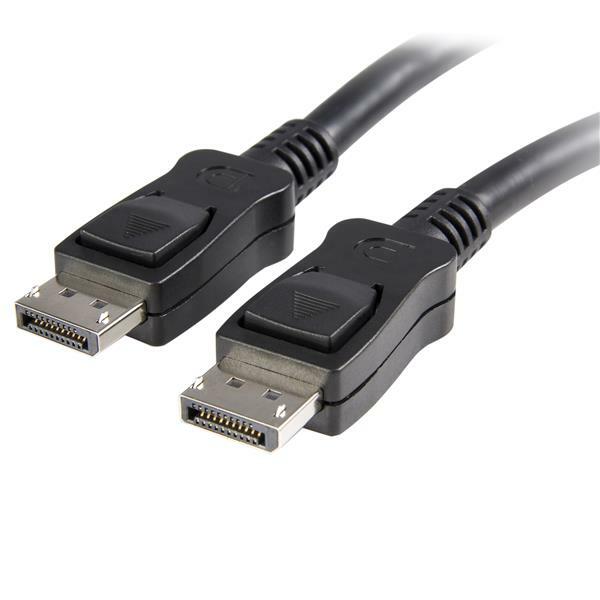 The DISPLPORT15L DisplayPort™ 1.2 Cable with latches provides a secure connection between your DisplayPort-equipped devices and allows for a connection distance of up to 15-feet between your source and display. The DP cable is capable of providing higher performance than either HDMI® or dual link DVI with support for high resolutions of up to 4k x 2k (3840 x 2160) @ 60Hz and a maximum HBR2 bandwidth of 21.6 Gbps. The cable also supports Multi-Stream (MST) for daisy chaining multiple monitors and provides optional audio support. 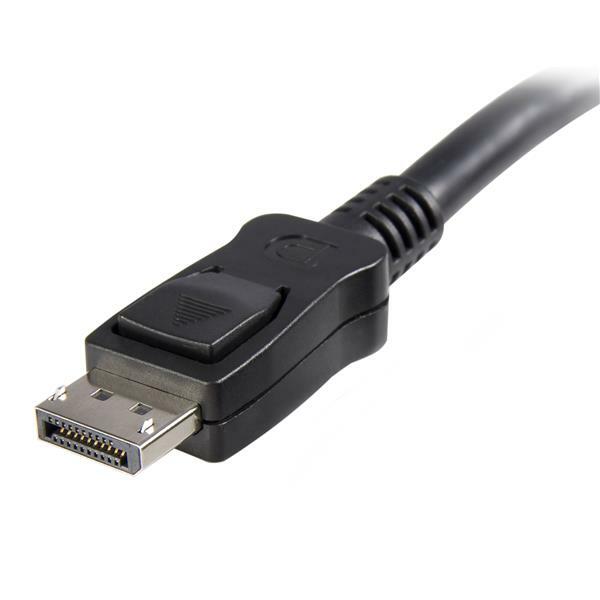 The DISPLPORT15L long DisplayPort cable is backed by StarTech.com’s Lifetime Warranty, for guaranteed reliability and ensures that digitally protected content is displayed properly, with both HDCP and DPCP capability.